NEW YORK -- Connie Hawkins, basketball's dazzling New York playground legend who soared and swooped his way to the Hall of Fame, has died at 75. His death was announced Saturday by the Phoenix Suns, the team with which he spent his most productive NBA seasons in a career delayed for years by a point-shaving scandal that led to the league blackballing him, even though he was never directly linked to any wrongdoing. The Suns told The Associated Press they confirmed the death with his family but did not disclose details. "The Hawk," as he came to be known for his soaring repertoire, was born in Brooklyn on July 17, 1942, in Brooklyn, where he could dunk by age 11 and ruled the asphalt playgrounds, tales of his basketball feats spreading across the boroughs. He was a decent shooter, but he was at his masterful best should anyone dare to try to cover him one-on-one. Hawkins would blow by defenders and, gripping the ball in one hand, finish with breathtaking wizardry or a thunderous slam, seemingly breaking the laws of gravity. "Someone said if I didn't break them, I was slow to obey them," he once said. Before there was Julius Erving, Hawkins produced his own brand of basketball theater, although he played before decidedly smaller houses. 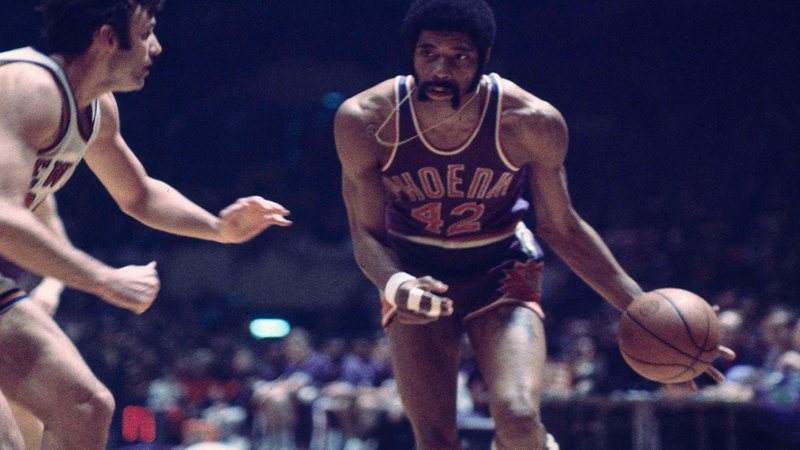 "'The Hawk' revolutionized the game and remains to this day an icon of the sport and one of basketball's great innovators," the Suns said in their statement. "His unique combination of size, grace and athleticism was well ahead of its time and his signature style of play is now a hallmark of the modern game." Hawkins toured the world with the Harlem Globetrotters then played two seasons in the ABA and was the league's Most Valuable Player in 1968, helping the Pittsburgh Pipers to a title. He didn't play in the NBA until he was 27, the league keeping its distance because of a college point-shaving scandal in New York City while Hawkins was a freshman at Iowa in 1961. Hawkins was never directly associated with the scandal and the principals always contended he had nothing to do with it, but the NBA barred him nonetheless. "It was totally devastating," Hawkins said in a 2009 interview with NBA.com. "I was innocent, but no one would listen to me. Plus, coming from a poor family, no one even thought about trying to get a lawyer to fight it. We just weren't that sophisticated." Hawkins eventually sued the NBA for banning him and, according to his biography on NBA.com, reached a settlement of more than $1 million. Finally, in 1969, then-commissioner J. Walter Kennedy lifted the ban. The Suns, a one-year-old franchise at the time, selected Hawkins second overall after losing a coin flip for the rights to then-Lew Alcindor, now Kareem Abdul-Jabbar. "I was the happiest guy in the world," Hawkins said. "Once I became an NBA player, I never looked back. People still to this day ask me if I was bitter about that, and I still tell them the same thing. Hell no. I'm just glad I was able to play." Jerry Colangelo, the Suns original general manager who went on to own the franchise, has said that if Hawkins would have come into the league through college at the normal age, "he could have been one of the top 10 or 15 players to ever play the game." "This franchise got its real notice for the first time when we acquired Connie Hawkins in Year 2 of the franchise," Colangelo said in 2015. "He put us on the map."